Due to manufacturer's restrictions we are unable to ship Nike products to Great Britain. 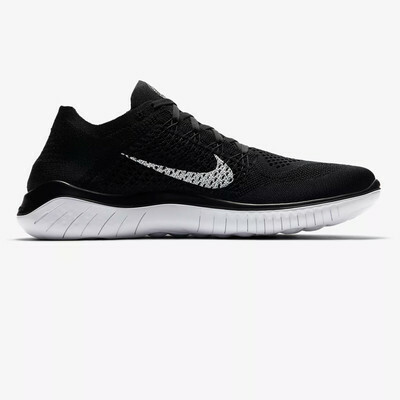 The Nike Free RN Flyknit 2018 brings you miles of comfort with a Flyknit constructed upper that delivers even more zoned stretch and breathability than before. 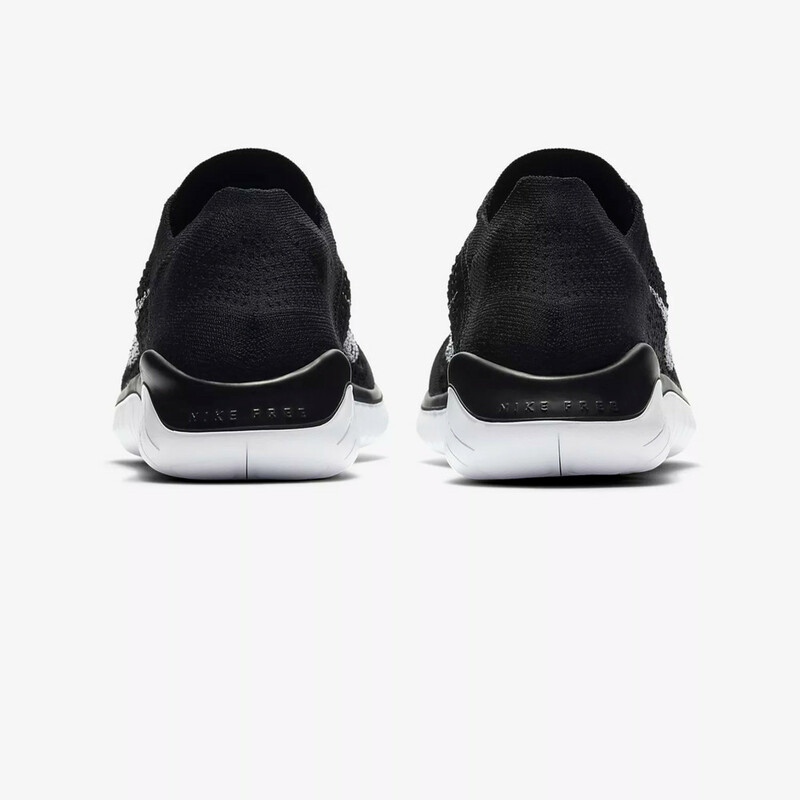 The outsole pattern adjusts to your every step for a dynamic ride, top to bottom. 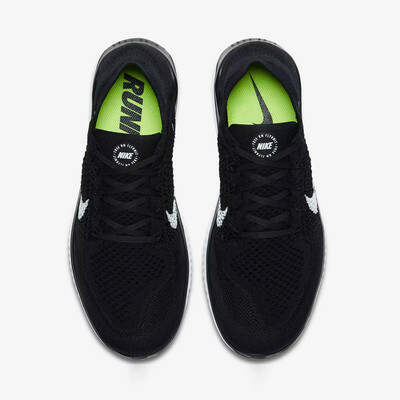 "very comfortable and light weight trainers. fit perfectly." 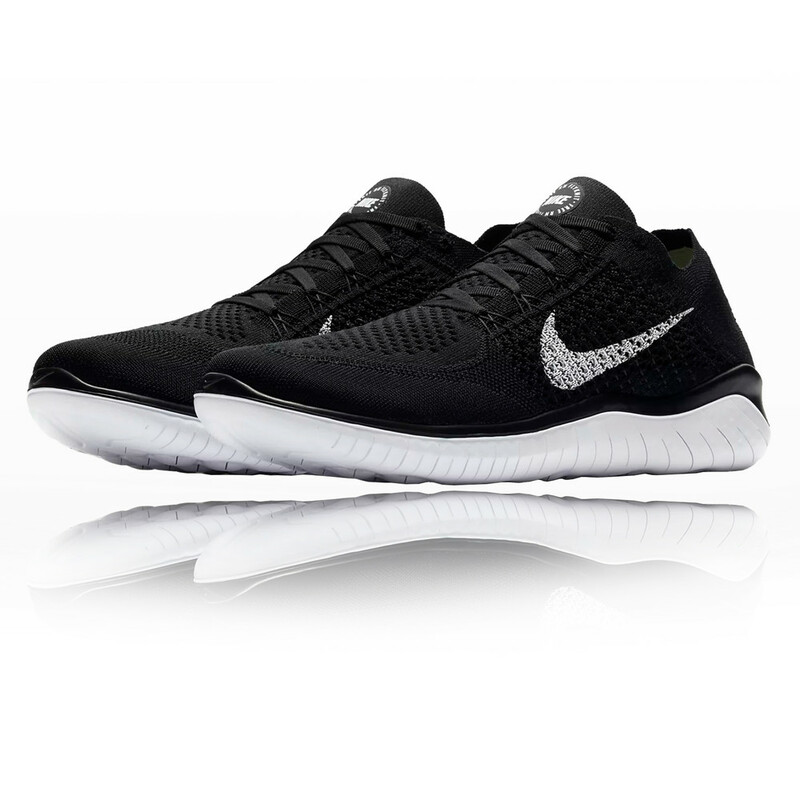 Flyknit uppers will encase each foot in breathable comfort. Perforations across the forefoot and midfoot increase airflow to create a better, healthier environment for your feet to thrive in. The one-piece construction seamlessly integrates these areas of high breathability with stretch and support where you need it the most, adapting to the changing shape of your foot as it moves through the gait cycle and reducing slippage so that you can enjoy smooth, distraction-free strides. Flywire technology woven into the upper merges with the laces for a dynamic and supportive fit through the midfoot. The strong, yet feather-light, cables work with the laces to increase support as you tighten them. Stretch yarns are nestled between Flywire cables on the lateral side to provide increased stretch in this high expansion zone, while structured yarns on the medial side supply lightweight stability; uniting to enhance the snug, contoured fit of the Nike Free RN Flyknit. Elastic yarns have been added to the heel to supplement the firm and adaptive feel of the shoe, promoting lockdown and improving stability. A minimal, moulded sockliner lies atop a low-profile midsole to mimic the curvature of the foot and add lightweight support. The co-moulded midsole uses a soft injected Phylon core foam directly underfoot and a slightly firmer injected unit sole carrier foam to deliver comfort and durability for a smooth ride. The Nike Free sole doubles as a midsole and an outsole, drastically cutting down on weight while still delivering protection, sparing your joints as you strike down onto hard, unforgiving surfaces. It moves with you, imitating the movement of your foot by expanding and contracting with every landing and push-off; this provides a more natural feel and a barefoot-like sensation, kind of like an extension of your foot. The strobel board contains stretch to allow for natural underfoot expansion. 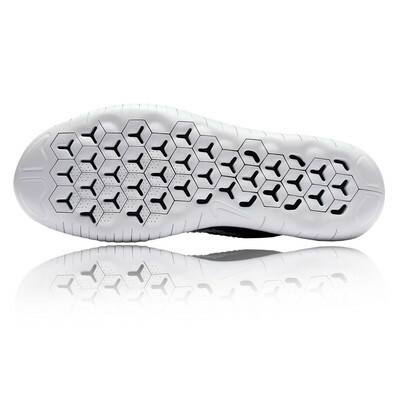 An updated auxetic tri-star outsole pattern, which has been hot-knife cut into the carrier foam platform to reveal the Phylon foam underneath, expands with your step for flexible cushioning and an adaptive feel. Texture has been added under the toe and heel to enhance traction in these high-abrasion zones, resisting the traumas of heel-strike and toe-off to supply you with reliable grip across every surface. 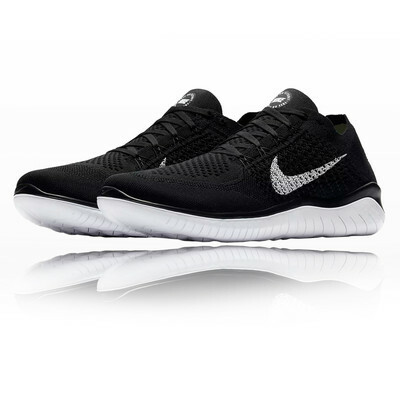 Deep flex grooves further enhance the bendy, barefoot feel of the shoe. Choose a ride that's engineered to run freely, choose the Free RN Flyknit 2018. 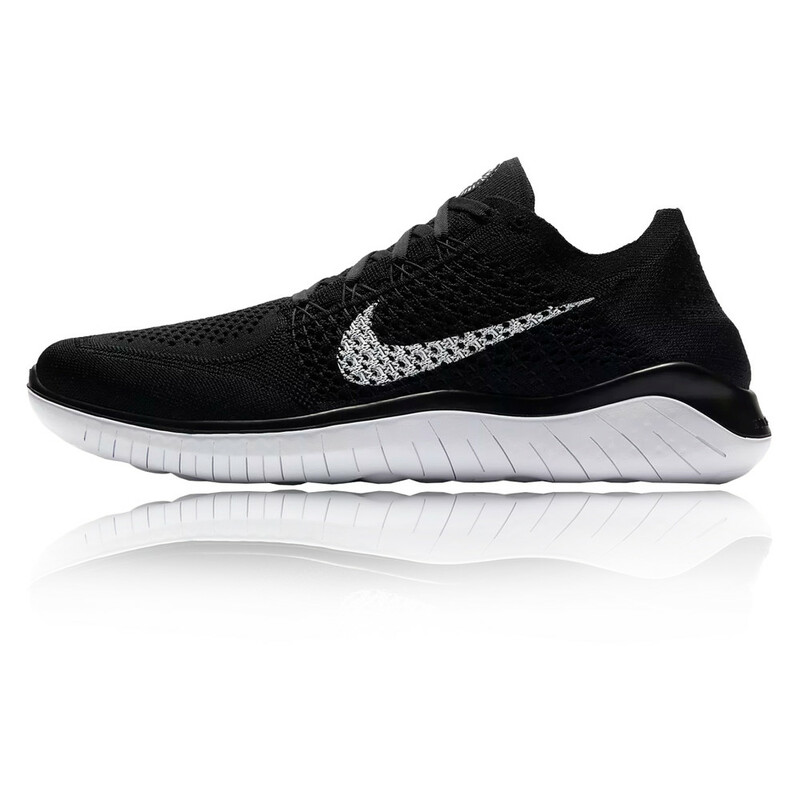 Flyknit upper - For a breathable, stretchy and supportive sock-like fit. Flywire technology - Integrates with the laces for a dynamic and supportive fit through the midfoot. Stretch yarns on the lateral side - Provide increased stretch in this high expansion zone. Structured yarns on the medial side - For lightweight stability. Dynamic heel - Stretches for a snug and adaptive fit. Moulded sockliner - Mimics the curvature of the foot to supply lightweight support. Co-moulded sole - Uses soft injected Phylon core foam directly underfoot and a firmer injected unit sole carrier foam to deliver comfort and durability for a smooth ride. Stretchy strobel - Allows for natural underfoot expansion. Updated auxetic tri-star outsole pattern - Expands with your step for flexible cushioning. Textured toe and heel - Increase durability and grip. Flex grooves - Promote natural foot flexion for easy, organic strides.